OBMA v McCain, according to their speeches. The top cloud is Barack Obama’s recent Townhall speech in Elkhart, Indiana. 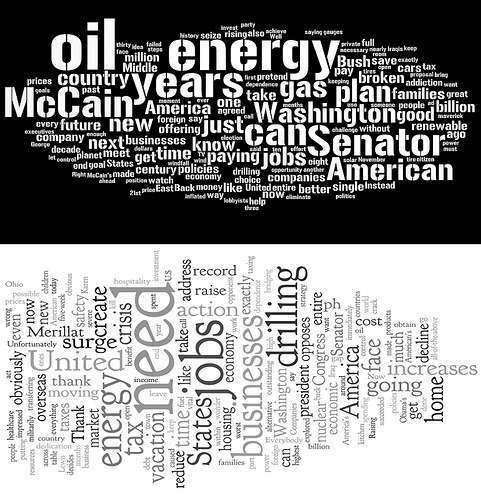 The bottom comes from John McCain’s speech in Jackson, Ohio.